I started this blog back in 2014, and it’s definitely been a lot of trial and error. I’ve learned a lot, but mostly because I’ve invested a huge amount of time and have made a LOT of mistakes. Successful bloggers don’t start out being successful, it takes a lot of work! 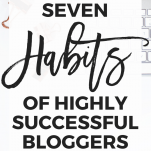 Since getting serious about my blog, I’ve found quite a few habits that I’ve incorporated that have made a big difference when it comes to growing my blog, and today I’m sharing those 7 habits with you! When I first started blogging, I definitely did NOT treat my blog like a business. Mostly because I didn’t even realize it could be a business! In fact, I waited an entire year before really treating my blog like a business or making any money from it. 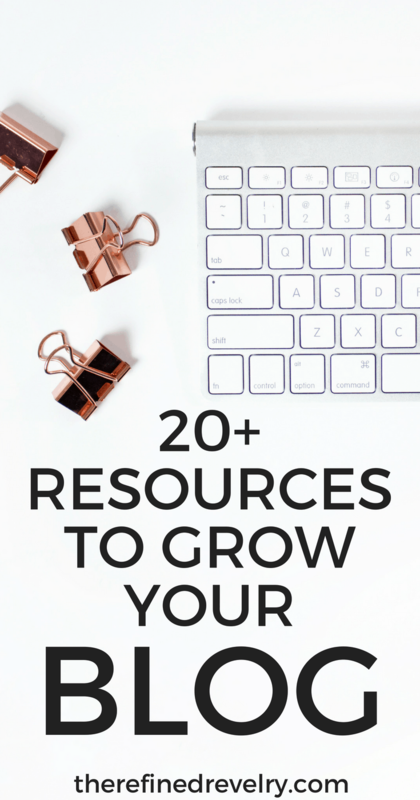 But once I realized the potential that there was with blogging, I dove head first into learning everything I could about turning your blog into a business. And boy did I learn a lot! 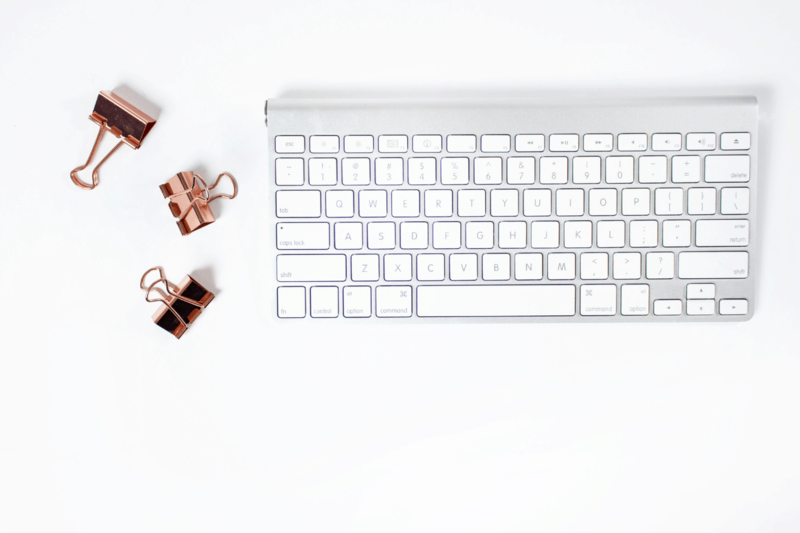 Simply put, if you don’t treat your blog like a business, it never will be one. To truly make an income from blogging, you need to get serious. Treating your blog as a business means investing time, even if you’ve got other things going on in your life. 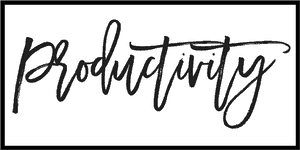 I have a full-time job and my blog is my side hustle, so I know that a solid chunk of my evenings and weekends are going to be devoted to blogging. 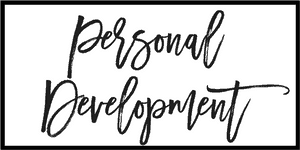 Sometimes (lots of times) it has meant turning down plans with friends so I could work on my blog instead, just like I would to for any other job. Treating your blog as a business means really devoting the time to learning how to do it right. I spent a lot of time researching the different ways to monetize a blog, and have since spent a lot of time implementing them on my own blog. Treating your blog as a business means educating yourself on the legal and financial side of blogging. If you intend to make money from your blog, set up a bank account for your blog and an accounting system, and be prepared to file taxes for your blog income. Educate yourself on the legalities of blogging when it comes to things like copyright, trademarks, privacy, and disclosures. Remember, if you don’t treat your blog like a business, it won’t be one. If you want to be a truly successful blogger, you need to provide value to your readers. It’s as simple as that. If you aren’t providing any value, people simply won’t take the time to read your posts. When I first starting blogging, my posts were definitely NOT valuable. I posted a lot of things about my personal life that my readers had NO reason to care about. And why would they care? They didn’t know me, and I hadn’t proven to them that I could help them. And because of that, people didn’t come back to the site time and time again. But once I started providing content that was actually valuable and provided actionable tips my readers could put into practice, people started coming back. I saw that every month I was getting more repeat traffic, and more people were signing up for my email list. Once I was able to PROVE to them that I could provide value, they were willing to spend some of their limited free time reading what I had to say. I’m not going to lie, there have been times where I have struggled to find my voice as a blogger and stay true to who I am. There are SO many bloggers out there and I’ve definitely gotten caught up in what other people are doing and lost sign of my own stuff. I think it’s something that happens to a lot of bloggers, especially early on. You’re still figuring things out, and you find yourself mimicking people you admire. There are a couple problems with this though. First of all, people are going to see through it. People can tell when you’re being inauthentic. It’s noticeable when someone is trying to be someone they aren’t in order to garner attention or make money. Second, it’s hard to stay passionate about something when you aren’t being yourself. I quickly found that when I tried to do what other bloggers were doing or mimic the voice of other bloggers, I got bored REALLY quickly. It just wasn’t fun anymore! Sure, there will probably be people who don’t like or connect with your personality. You’ll turn some people off. And those people just aren’t your people. But some people will become superfans because they LOVE your personality and totally connect with you. And THOSE people are your people. 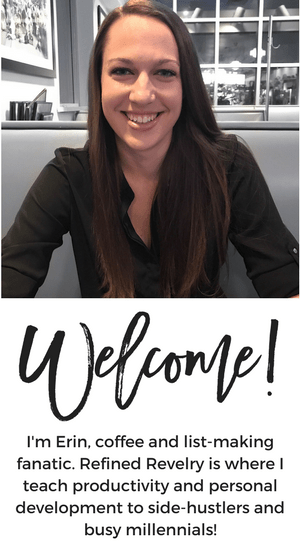 One of the things that I think has made the biggest difference in growing my blog, especially early on, has been the relationships formed with other bloggers. Blogging is kind of a crazy industry where you spend all day online talking to people online through your blog, emails, and social media. Except you’re doing it alone from your own (or the coffee shop or wherever you blog from). It can definitely get a little lonely. And sometimes you get stuck, and just aren’t sure how to proceed. Sometimes you’re having a bad blogging day and just need to be able to vent to someone who gets it. And that’s where other bloggers come in. 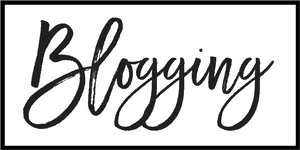 When I first started blogging I joined a bunch of Facebook groups for bloggers and was able to connect with a bunch of people also doing this whole blogging thing, and those blogging relationships seriously made a difference! Don’t reach out to other bloggers JUST to get their help with something, but cultivate real relationships and collaborations with other bloggers, and you’ll be amazing at how deep those friendships can go, and how beneficial they can be for your blog. I am NOT a numbers person and never have been. In school, I would take any English or social science class that was available but avoided math at all costs. I went into a career in the social sciences. I started a side-hustle in the writing field. So I figured I’d successfully avoided numbers as much as possible. Boy was I wrong. Turns out that owning your own business, even when that business is in the writing field, requires a TON of numbers. As much as analytics are NOT my thing, they are 100% essential to running my business. Paying attention to analytics means you’re paying attention to how your business is doing. By checking your site analytics, you know who is reading your content and where they’re coming from. You know what’s working and what isn’t. Analytics allow you to know what is making your business money and what isn’t. Seriously, learn to love them, because they’re going to be pure gold for your business if you know what to do with them. Frankly, I’m glad no one told me ahead of time how many numbers would be involved with starting this business because I might have been scared off from starting it! Dealing with the analytics is TOTALLY worth it because of what I get out of my business. Blog success doesn’t happen overnight. You’ve probably heard the word “overnight success” thrown around in terms of online business owners. I know I have. And while some people definitely grow their blogs at a fast rate, there’s simply no such thing as overnight success. Blogging is a LOT of work, and success and growth happen slowly. And sometimes when you feel like you’ve turned a corner and finally “made it”, your pageviews drop or a social media site changes their algorithm, causing your followers to stop seeing your posts. Blogging takes WORK. You have to put in the time to consistently put out new content. But you also can’t let the rough days get you down. Your strategy isn’t working? Try something else. It’s a LOT of trial and error. Blogging is a lot of ups and downs and without persistence, you aren’t going to be able to ride those waves. When it comes to blogging, you will NEVER reach the point where you know everything there is to know. First of all, there are SO many ways to do everything, and different people find success with different strategies. What works for one person might crash and burn for someone else. There’s just no way to replicate someone else’s success, so it’s a matter of experimenting and figuring out what works for YOU. Blogging is also such a new industry! It changes seriously every day, and there are constantly new things to learn. And I don’t see this slowing down anytime soon! Since all the information can get super overwhelming, I’ll caution you on a few things. First, limit the number of sources you’re learning from. Yes, I realize there are hundreds of bloggers sharing what they call the BEST Pinterest strategy. But all those strategies are a little different, and some have completely opposite advice. If you try to learn from every single Pinterest “expert” you’ll just get confused and overwhelmed. Choose a few pros you trust and try to block out some of the other noise. Second, try to focus on learning ONE new thing at a time. Maybe this month you’re going to spend your free time learning about growing your blog with Pinterest. Once you feel confident that you’ve got a good start on that, maybe you’ll move onto something. Don’t try to learn every single skill at once, because that’s just NOT going to happen. 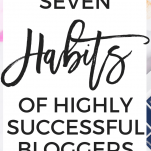 There it is, your list of habits of successful bloggers. I’m willing to bet that if you talk to any number of successful bloggers, they would agree that ALL of these are important to long-term blogging success! 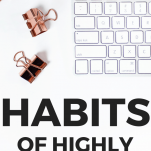 Also, make sure to leave me a comment and let me know which of these habits you need to incorporate yourself, and which you’re already doing and that has helped you!